Cleveland-based USA Insulation has added new franchise locations in Indianapolis, Chicago, Omaha, Portland, Me., and central New Jersey. Company President Patrick J. Pitrone attributes the company's growth to forecasts of a cold winter, unpredictable energy prices, and the Federal Energy Tax Credit of 30 percent (up to $1,500) for homeowners who add insulation by year-end. FranchisEsource Brands International (FSBI) brands posted 30 percent overall revenue gains and 46 percent growth in franchise awards in the first three quarters of 2009. The 30-year-old company's coaching brands include The Entrepreneur's Source and sister companies AdviCoach, Business Partner Marketing Coach, and Expense Reduction Consulting, as well as Decor&You, an interior decorating franchise. "Despite the negative economy, all FSBI brands are experiencing explosive growth and breaking revenues records every day," says CEO Terry Powell. "Our brands are attracting the business-savvy, corporate experienced individuals who now want to take control of their future and parlay their skills into a new career direction." Hiring in a down economy fits the bill for this property damage restoration franchise, whose growth is based on cleaning up other peoples' messes. "While others are downsizing, we're doing what we can just to keep up with the growth, both in franchise development and local market sales," said Keith Gerson, president and COO of PuroClean. 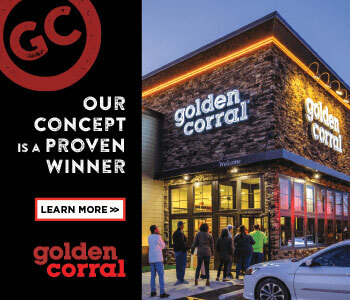 In fiscal 2008 the brand opened 76 new franchise locations and grossed more than $68 million in system-wide revenues, with sales up 19 percent over fiscal 2007 for existing franchisees. Gerson says since November 2006 the company has grown from 92 locations to 300 and expects to open 20 more by year-end. He attributes this growth to the low cost of entry; adjusted net profit in the 40 percent range; and the fact that insurance pays for the services the brand provides. DoodyCalls, the pet-waste removal service, has opened seven new franchises so far this year and expects to have five more operating by year-end (five of the seven new franchisees were corporate executives last year). DoodyCalls topped 2008's total sales numbers by June; and January through July 2009 royalties were 127 percent higher than in all of 2008. The brand expects to add 12 to 15 new franchise locations in 2010. Founded in 2000, the company began franchising in 2004 and has expanded to 40 locations in 23 states. AlphaGraphics reported "significant" business growth in 2008 and continued positive results in 2009. For FY08, total gross sales exceeded $300 million, with average gross sales of $1,108,585 for a unit open one year or more, and $1,140,670 for units open three years or more. The number of new franchises grew more than 30 percent from last year. VP of Global Development Art Coley attributed the growth to acquisition assistance programs to help franchisees buy other print facilities, and to expanded services delivered to local businesses. "People joining AlphaGraphics are leaving corporations to have more control over their lives, to be their own bosses, and to be part of a successful network," said Coley. AlphaGraphics, with 265 centers worldwide, is headquartered in Salt Lake City and is owned by Pindar Group. The first newly built model of an energy-efficient Motel 6, with a new look both inside and out, has opened in Northlake, Texas, near Dallas. Since announcing the new design in March 2008, Motel 6 has renovated about 50 corporate locations with elements of the new model, but this is the first "Phoenix" unit built from the ground up. Accor North America, parent of Motel 6, plans to submit the property for LEED certification. Energy efficiency features include thermal solar water heating, native landscaping, and building materials made of 80 percent pre-consumer recycled material. Motel 6 has more than 1,000 company-owned and franchised locations in the U.S. and Canada. Red Roof Inn recently opened two new properties: a 76-room unit in Romulus, Mich., and a 100-room unit in Valdosta, Ga. In the past five years, Red Roof has spent about $250 million to renovate nearly 70 percent of its properties, representing more than 20,000 rooms. Red Roof, founded in 1973, has 345 properties in 36 states and the District of Columbia. Edible Arrangements has signed a master franchisee agreement with brothers Kemal and Emre Aydin to develop 15 locations in Turkey. The first is slated to open in Istanbul in 2010, and the remaining locations will open over the next five years. With this agreement, the brand is now available in nine countries outside the U.S. and Puerto Rico. This new signing is part of an aggressive growth strategy that includes finding qualified new franchisees and continuing to grow its existing franchise base into multi-unit operators. Founded in 1999, Edible Arrangements has more than 900 locations and is aiming for 1,000 units in 2010. Papa Murphy's has signed an area development agreement with P4K Corp. that includes opening six new stores in the next three years in the Jacksonville, Fla., area. The first is scheduled to open by year-end. "The area is high on our priority list for aggressive expansion," said Director of Franchise Sales Jim Werling. The Vancouver, Wash.-based franchisor is seeking additional franchisees for the area. P4K is owned by Hans King, who played professional hockey in the U.S. and Europe for the past six years. Papa Murphy's operates more than 1,150 locations in 32 states and Canada, with about 98 percent franchised.